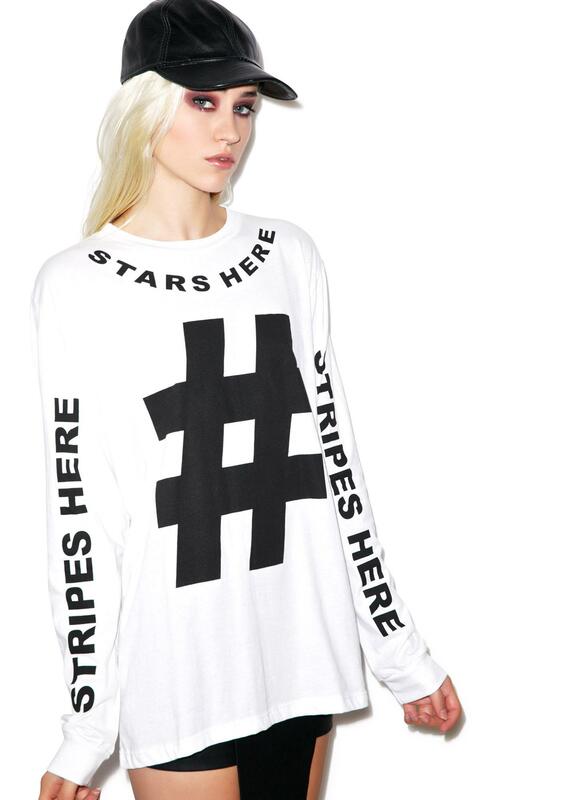 This Is A Love Song Stars Here Tee becoz yer all about that patriotic swag, but you like to do it yer own way. 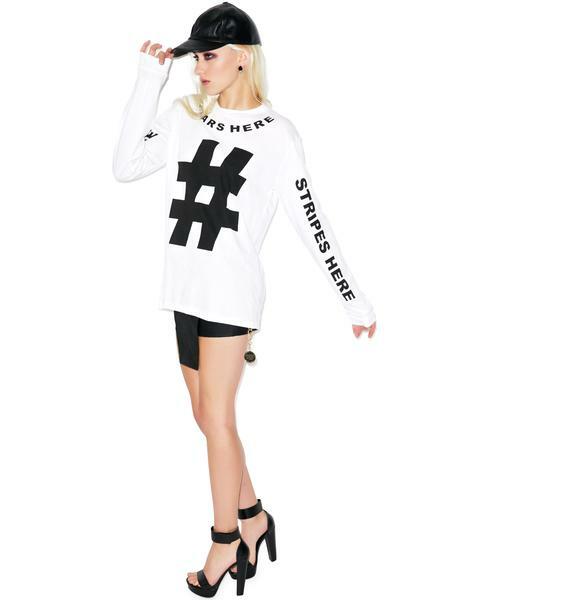 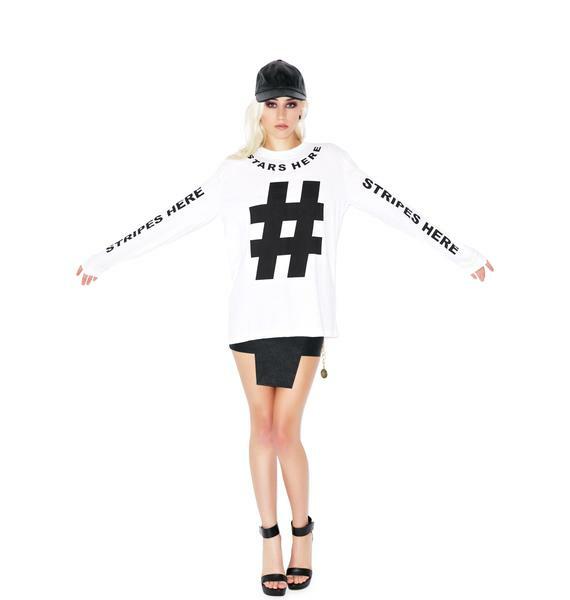 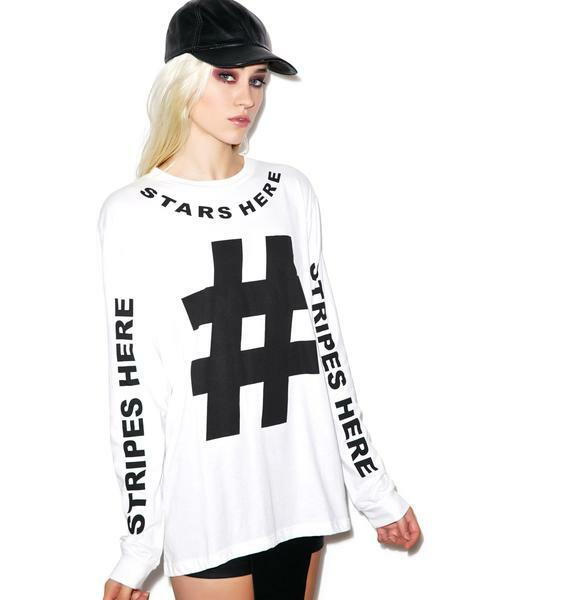 This awesome black-and-white long sleeve is just the way to do it. 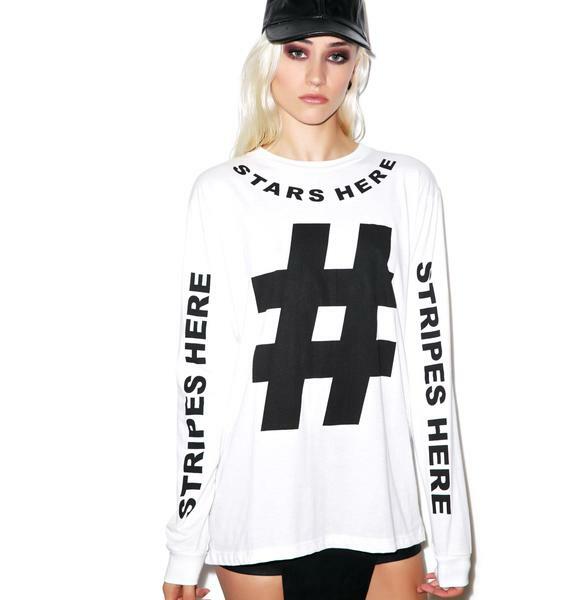 Featurin a super soft fabric that fits loose and slides down yer bod, we are seriously obsessed. 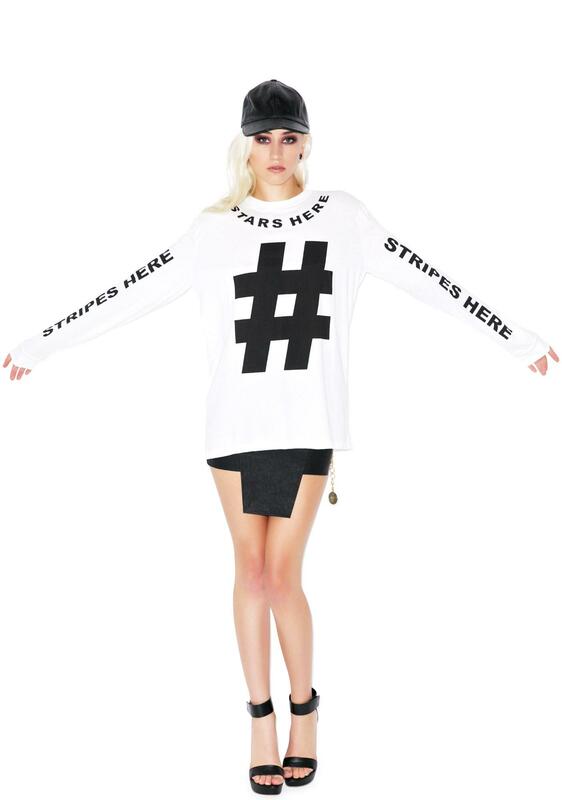 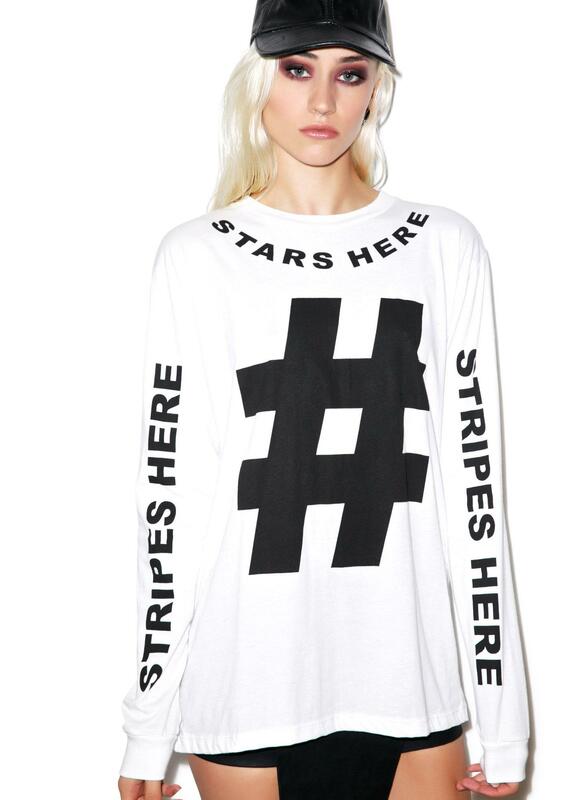 With a killer graphic of a hashtag right in the middle, STRIPES HERE down each sleeve, and STARS HERE around the neck, we are about to raise our flags to you!